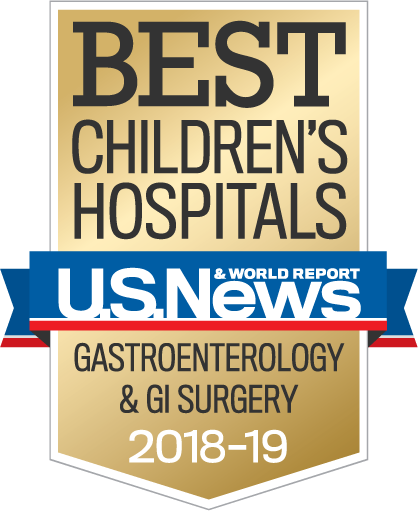 Children's Hospital Los Angeles is ranked among the top hospitals in the nation for gastroenterology and GI care on the U.S. News & World Report Best Children's Hospitals List. Our physicians use the latest diagnostic techniques and technology to provide care for thousands of children each year taking a comprehensive approach to caring for patients with gastrointestinal, liver and nutritional disorders. The gastroenterology team at Children's Hospital Los Angeles prides itself as an academic leader and is involved with clinical, translational and basic science research projects focused on pediatric gastrointestinal and liver diseases. The Division has numerous research initiatives sponsored by the National Institutes of Health, industry or philanthropic foundations.